Last week, I ordered some pinch beads... I'd not seen them before, and I thought they looked interesting! The first thing I did with them was have a bit of a play... I came up with a cute little design for a beaded bead. 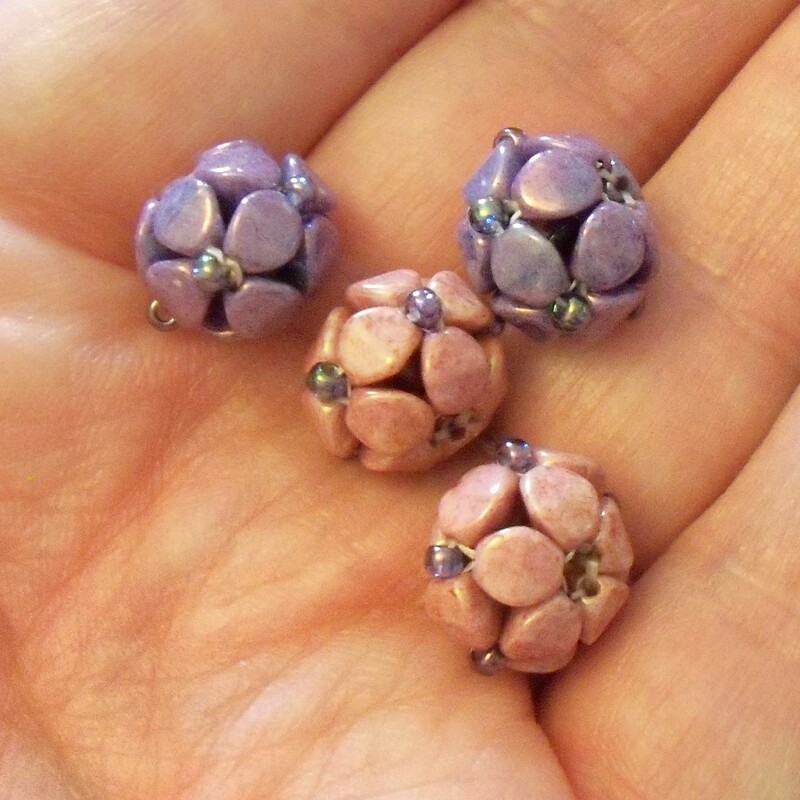 If you'd like to have a go at making your own pinch bead beaded bead, I've written up the pattern and published it as a free tutorial on craftsy. TY for your pattern. Have made a few after a little trial and error. A Facebook group Seed Beads & More has a Year Long Beaded Bead Challenge. Would be nice if you could join. I would be happy to post the PDF to the group if OK with you...there was no name or credit on it. Only found you by looking at the properties and finding Beads by Becs as the author and did a search.